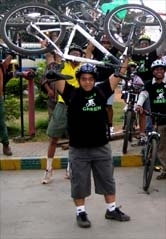 Lost & Found - GGI-Group size: 4000+ Professionals, Increasing on day to day basis, Come & join us 2 serve Mother Nature. The purpose of this section is to help our fellow cyclist to get their lost/stolen cycles back and at the same time alert other cyclist to check with us and verify before they buy any used/second hand bicycles. If we find your planned Cycle among the listed cycles, We will inform you. 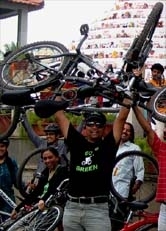 Please do mail us on GoGreenRao@GoGreenGoCycling.org and share details. 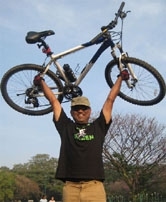 For Lost Cycle : Please fill the below form and update. 1) Cycle found @ JP Nagar 7th Phase opp to Brigade MM: Owner of this cycle can quote the Cycle details and come with the invoice copy and enquire.